Early this morning, Joey, got a call saying that there's a cat on a roof, whose left eye is injuried, got caught by the animal clamp. When Joey arrived to the place, he climbed up to the roof and with skillful experiences, rescued this poor cat and sent him to the vet immediately. Not only is this poor fellow's leg injuried badly, his left eye is blind. 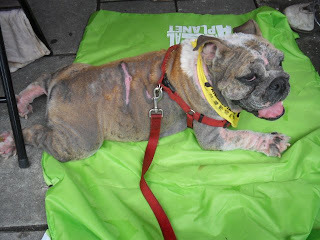 Zuck is now staying at the vet for further observation and we will keep everyone updated. Your support and generosity will certainly help us resuce and care for animals like Zuck. Thank you for your generosity! Recently, we brought Harry to the vet for an examination. We discovered that he was born low immune system and has kideny problems. After staying at the vet for several days, Harry returned to the center and was very happy to see everyone. But he needs to have injections eeryday now. In the above picture, we can see that Joey is helping Harry with the injection. Dear friends of Harry lovers, please come and visit Harry when you have time and pray for this littly guy! 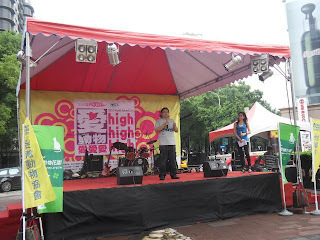 Best Wishes and farewell to Sporty! 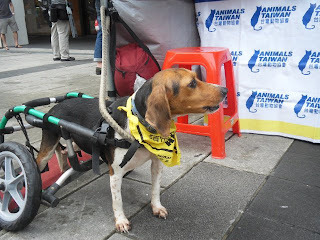 Sporty has left Taiwan on a plane to Canada on Oct 2nd. Please don't forget to give her your best wishes! Sporty's new owner, Aaron, was one of our wonderful volunteers. 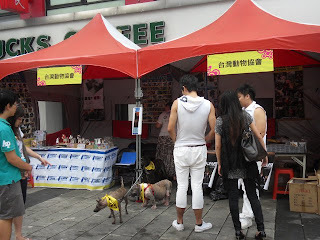 Remember the six dogs that we got from Teacher Jia before? 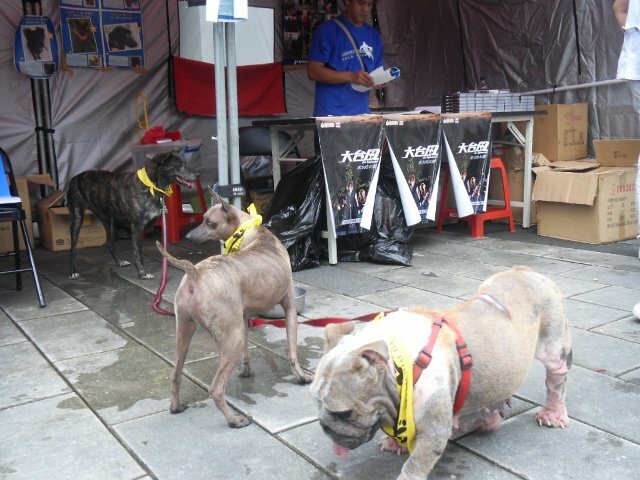 Sophie was the one that had the most serious skin problems among these 6 dogs. But look at her how lovely she is now! Alothough Sophie's still a bit shy, and doesn't know how to get along with people. She is improving dramtically and is not depressed and sad like when she just got here. She's very energetic now and can get snacks from our hands. Please come and visit/play with her when you have time! 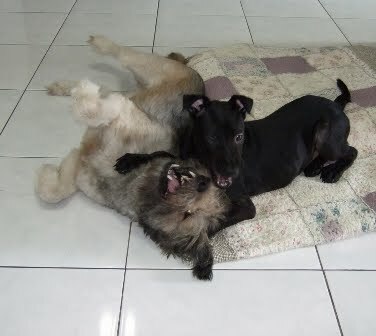 2 lovely, playful puppies need homes. 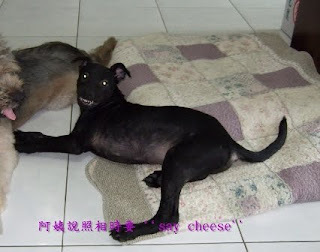 Danica and Ziva are still in the foster homes and they are still waiting for adopting. They both are playful and lovely. and friendly. please spread the word for them to find new homes. 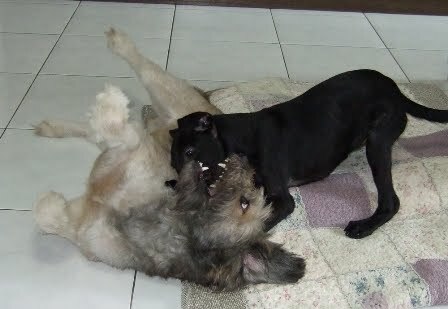 age: 5 month old , both female. Diana is doing very well and making great progress. Her wound is completly healed and her fur is growing back well. Her feet are taking a little longer to get better, but with good food, love and attention i have great confidence that she'll be as good as new very soon. She has lots of energy and loves playing with my other 3 legged foster dog. She loves her food and likes going on walks, but i can't let her walk for too long as it hurts her feet. thank you for all your support for AnimalsTaiwan and Diana. We will keep to post the progress of Diana for you. 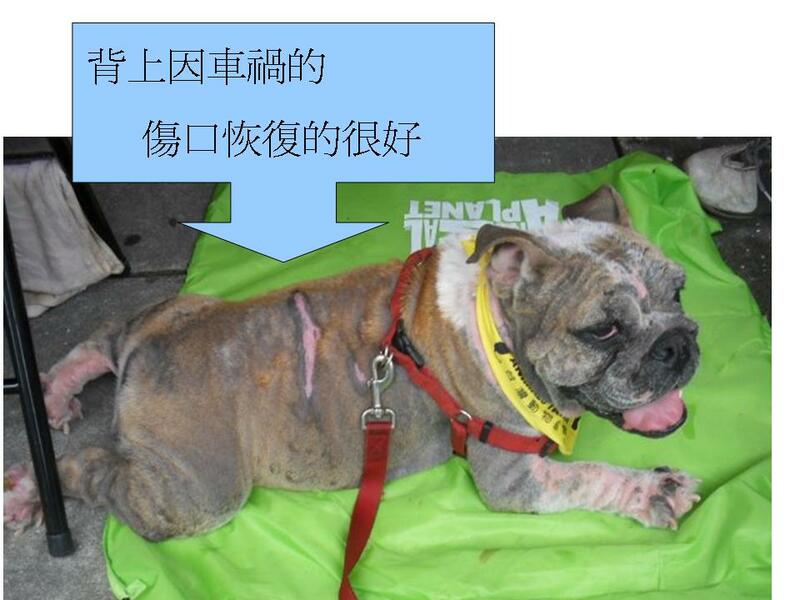 the photos when she was rescued. 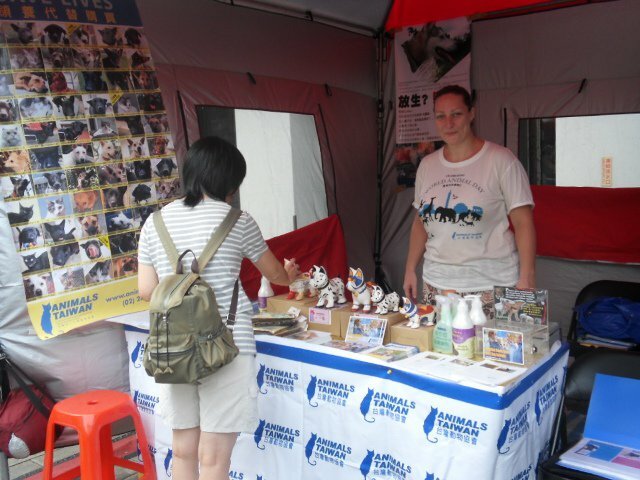 Animals Taiwan would like to say a very big thank you to everyone who came along and helped on Sunday. It was a bit worrying at first with the rain, but we were lucky it didnt last long. Our furry friends had a great day too. 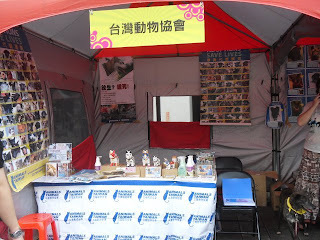 We had good sales and a lot of interest in our dogs too which is our greatest aim. This is all thanks to your help and support. We hope to see you at our up and coming events. Please keep in contact with us and checking our facebook page for updates and news.